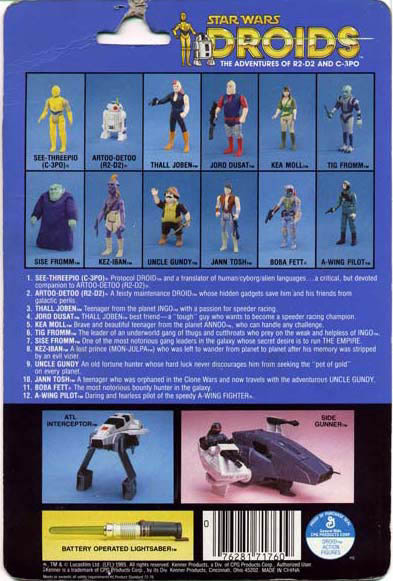 The following pieces represent a few of the iterations in design and process that Kenner went through back in the mid-1980's. These pieces were acquired from different sources over a period of several years. 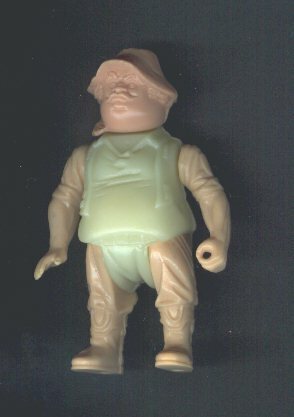 Each piece has it's own part in the creation of the Uncle Gundy action figure. This first figure shown actually begins the later stages of the creation process, but it's the most interesting. This is a painted hardcopy of the action figure, but the unique coloring is the most striking. 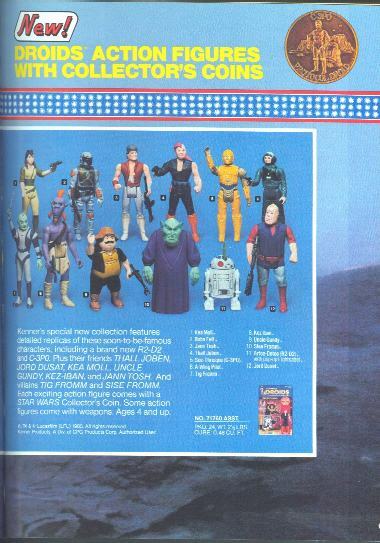 Although it does not match the final action figure it does, however, match some early Kenner photography from the 1985 Toy Fair catalog as well as the Droids cardback. The arm is permanently posed in that position. Interestingly enough, all Kenner photography to date showing this particular color scheme has the same pose. Very few hardcopies ever have limbs that are glued into position like this. Also I will point out that the hot glue used to hold the weapon in the hand is visible in the catalog photograph. The weapon it is shown with is the standard, gold, Ree Yees weapon. The production Uncle Gundy figure came with a black version of this weapon. Unlike most hardcopies, this one has the name of the figure written on the feet as shown above. 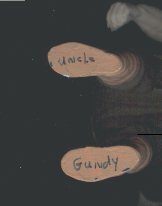 I think the name was written on the feet so that it would be easily identified for catalog and cardback photography purposes. I have a photo album from an ex-Kenner model maker that is filled with Polaroid photos of toys and figures. 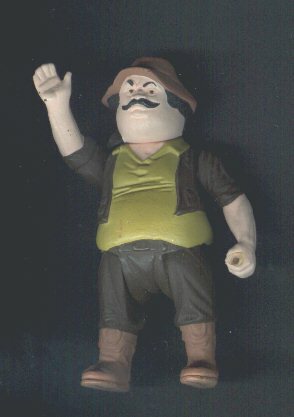 One photograph shows an Uncle Gundy with this same figure coloring and pose. 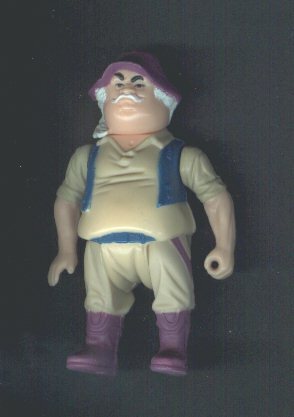 Given all these cues, I have good reason to believe that this piece is the very same figure shown in all of the Kenner photographs. 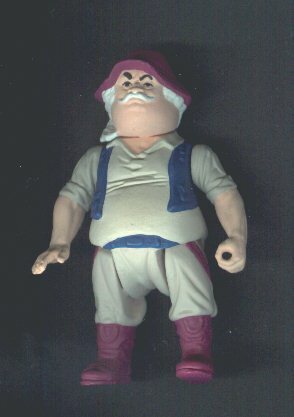 The colors have been corrected and now this hardcopy is an accurate representation of the action figure to be offered for sale to the public. As with all figure hardcopies, the appendages are pinned in place and removable. The figure is totally handmade and hand painted. Once the tooling is created, injection molded figures can then be produced. Here is a first shot molded some odd colors. While the flesh tones are similar to the production figure, they are indeed a different shade. This figure has no dates on it's legs, but is otherwise made like a normal action figure.